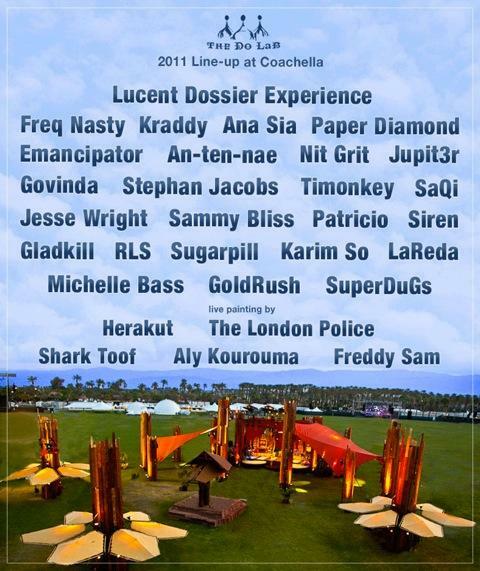 Sammy Bliss is playing at Coachella. 'Nuff said. COME EARLY and catch this great night of amazing music!!!! Not ready to get back to the regular world? Still craving groovy beats by the pool? Need just a little bit more time in a burner oasis? 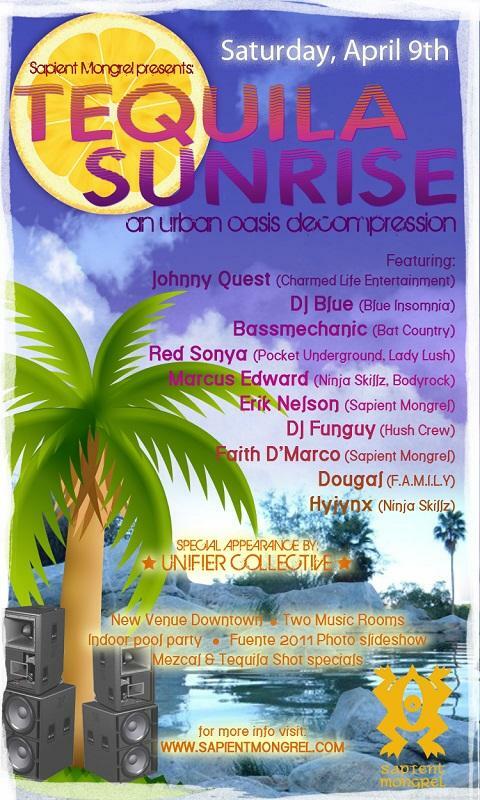 SPECIAL PERFORMANCE BY: ?UNIFIER COLLECTIVE? Indoor pool party! Bring swimwear! Fuente 2011 Photo slideshow - Send us your pictures! DISCOUNTED PRESALE TICKETS: Link coming soon! RSVP on Facebook Event or email events@sapientmongrel.com to RSVP or send us your slideshow pics! 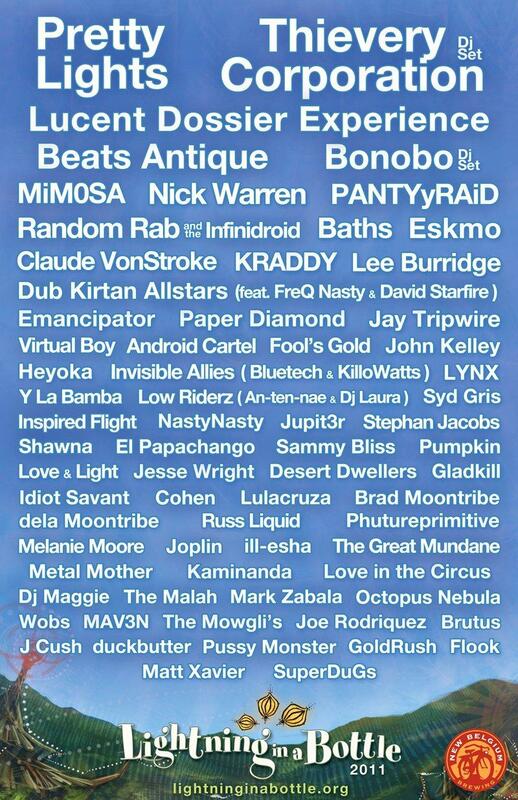 The Do LaB presents the next installment of Lightning in a Bottle, returning to the beautiful Oak Canyon Ranch in Silverado, CA on Memorial Day Weekend: May 27th-30th 2011. The 4 day Lightning in a Bottle festival will, once again, be held at the Oak Canyon Ranch in Silverado CA. Aside from four stages of live music the experience includes performances, art installations, live painting, workshops and speakers, yoga, camping, a vendor village including healthy and organic foods, a kids and family zone, free water, and it has been voted the greenest festival in the United States! Camping is available and free for all Full Weekend Pass and 2 Day Pass holders. RV and Car Camping is sold out. Get free parking and help make LIB greener by carpooling or take a Lightning Bus and leave the driving to us! May 26th 4 pm – 1 am. May 27th 7:30 am – 1 am. May 28th 9 am – 11 pm. May 29th 9 am – 8 pm. Have you come to Earth looking for someone to probe? Or ready to leave the farm, looking for a new experience? Get Ready for ALIENS & HILLBILLIES! 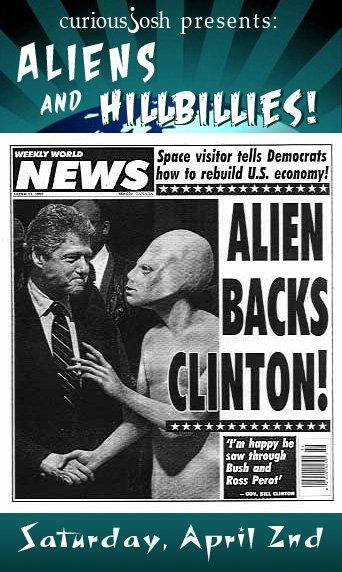 that's right, let the probing jokes begin and someone kiss their cousin! YOU have been invited. Please invite cool friends! !! *>> SPECIAL ACTIVITIES <<* !! Amazing Blacklight Costume Dance Troupe ARCHEDREAM FOR HUMANKIND • Entire Blacklight Environments from ALTERVISION! • Open Spin Jam • Alien Body Painting from BRYAN BUZZ • Dance in the BLACK HOLE • Hillbilly burlesque from HELLS BELLES, 8-10pm • REV KATE's Knee Slappin' Banjo! • Probe your friends at THE PINK TIE probing station • Visuals from VJ TEK • The direct mind sound connecting device from SUPER TALL PAUL (of Helios JIve), the Leisure Listening Lounge! • AND MORE TO BE ANNOUNCED! The Early Bird Membership is the most cost effective way to go. Get your memberships at the link above now!! AREA 33 IS NOT REPEAT NOT GOING BYOB YET! Please join us for this semi-formal affair. Time to get your best clothes out! Think circa 1920s-40s if you can. This is a reception event and you are invited to celebrate! THE CRUZ COALITION WANTS TO THANK EVERYONE INVOLVED FOR HELPING MAKE THIS A SPECIAL NIGHT! For years, a movement has been brewing in the warehouses and outdoor environments of California. 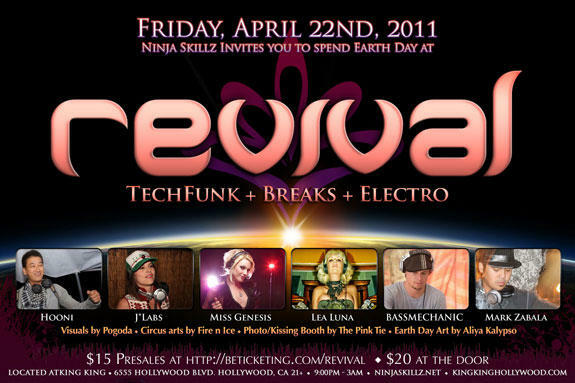 Ninja Skillz is bringing these underground sounds, performances and visual experiences to light and sparking an above-ground Revival. This month, we are highlighting bass-driven cross-genre DJs, from san diego to los angeles, that all excel at blending together funky breakbeats and straight beats, dirty electro and wobble basslines, and elements of tech, house and progressive to create a unique, high-energy dancefloor journey across multiple electronic music styles. Don't know what that means? Click on the DJ links below to listen! We are ESPECIALLY excited for the 2 hour tag team set between Miss Genesis and Lea Luna. This is NOT to be missed. 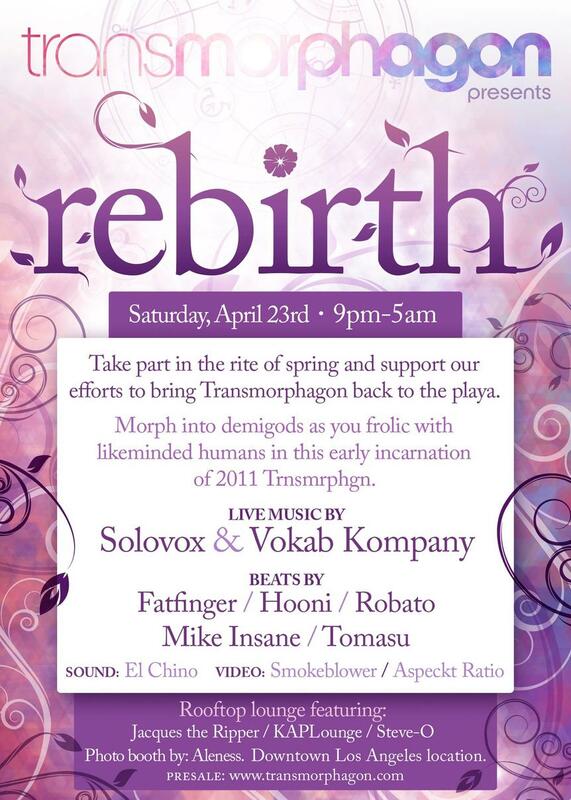 Join us at our Grand Opening as we support dance music, underfground culture, and inject new life into the club scene. Be a part of the Revival. Perish's STUDIO 69's "THE DIRTY DISCO"
We Pay Homage To Our Predecessor "Studio 54"
With This Anything Goes... But Go Big Event! "Its An Afro-Wearin, Bling Swinging, Discorama!" From The Creative Minds Of Perish & 69 Creative Force. Make It Wild And Bright ~ Its A Dirty Dirty Disco Party!!!!
? 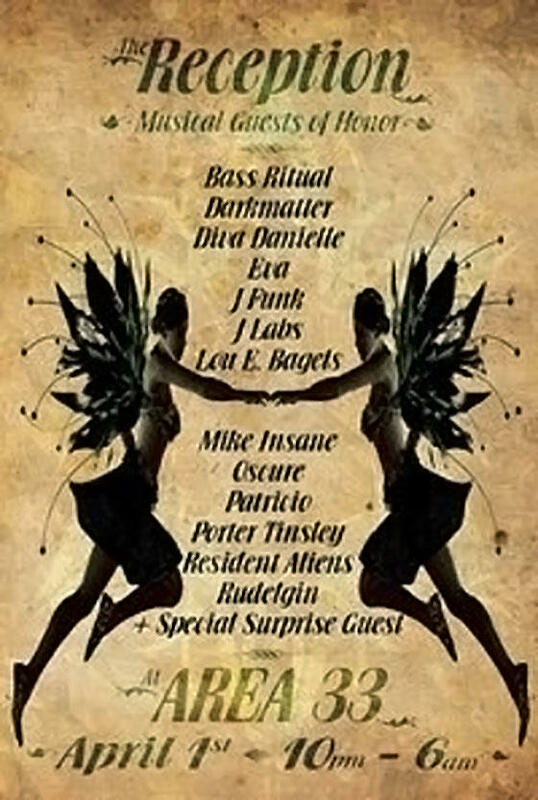 2 Rooms With Discko Elektro, Dubstep, Breaks & More!!!
? Upgraded New Uv "Blacklite"Lighting To Blast Your Whites!
? Sassy Disco Decor Making Area 33 Transcend Time!
? Afro-Makeovers All-Nite. Get Yours Spruced Up!
? Even More Incredible Photo Areas Get More Pics!!!
? 69 Vj-Projections Crew Will Be In Full Force!!!
? Johnny Holmes's "Goldmember Contest"
? Swing-Set Gogo's & Afro Kittens!
? 69 Party Bus Art Car Fundraiser Event!!! And We Are Still Adding!
? Live Performances By Fabian, Grindkore, and More to be Announced!
? 69 Photo Areas & Hosted By Our House Photogs! 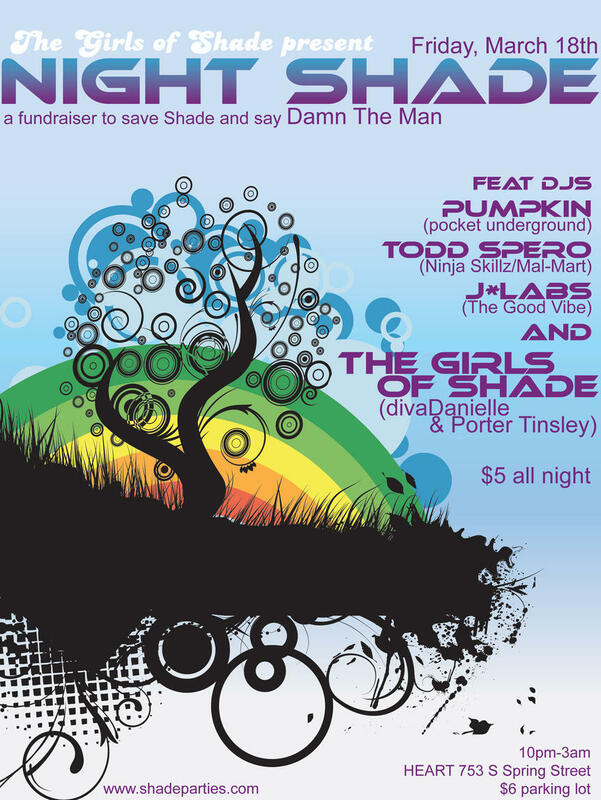 HELP SAVE SHADE & DAMN THE MAN! Due to the tragic events at last year's EDC, permits for parties like Shade are in Jeopardy! As such, the costs of permits have skyrocketed, are MUCH harder to get and WE NEED YOUR HELP! divaDanielle and I want to make sure we can continue throwing the best FREE DAY PARTIES in Los Angeles. WE NEED YOUR SUPPORT OR SHADE ENDS!!!! Come out! Come out! Come out! Even if just for one drink! An evening of 4/4, breaks, and dubstep. From premiere UK talent to the most revered local DJs, THE GOLD LINE is all about bringing the best possible vibe to one of the most amazing underground venues Los Angeles has ever seen. We are first, last and always about a deep-rooted love and passion for electronic dance music and all efforts are toward creating a haven for those who share that love. ...Area 33 is the perfect venue to nurture this type of environment. It is the underground venue with a MASSIVE Turbosound system and the most intricately decorate spaces that somehow still managed to feel like a house party. It features real bathrooms, tons of amazing artwork and installations, and a multi-level outdoor smoking area that is also a second area of music. We are so unbelievably excited to have FILTHY RICH, a Toolroom Knight (an exclusive club with Fedde Le Grande, D. Ramierez, Funkagenda and Mark Knight as the other members), globetrotting international DJ, and incredible dance music producer headline our March party. This will be HIS FIRST EVER SOUTHERN CALIFORNIA CLUB APPEARANCE. 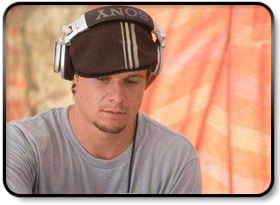 You may also have caught him at one of 4 gigs at Burning Man 2010, at either Underground Roots, Yoshiwara Roots Dome, Tower of Babel, or Black Rock Syndicate.